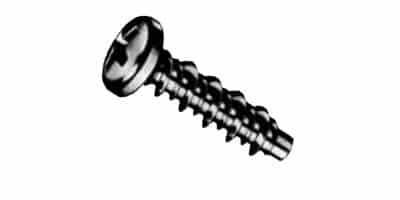 Plastite® Fasteners During installation, these trilobular shaped thread forming screws displace less plastic material, minimizing stress. Designed for high performance in a wide range of thermoplastics. Plastic material fills in around trilobular shank after installation, assuring a secure assembly. 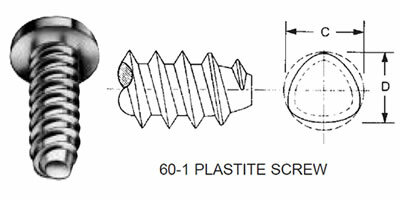 Screws for Plastics To accommodate customer requirements to meet competitive price pressures, WCL imports and stocks a 100% optically sorted trilobular thread forming screw. 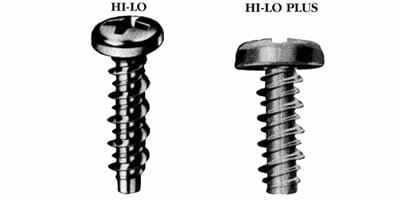 Hi-Lo® Fasteners With their reduced minor diameter, these screws displace less plastic material and minimize stress. 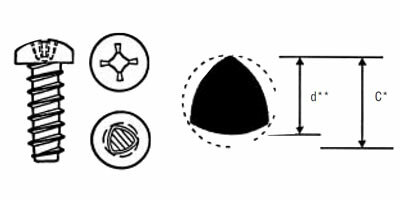 Each screw has a double lead high and low thread with the high thread having a 30 degree thread form that further minimizes material displacement while providing positive thread engagement. 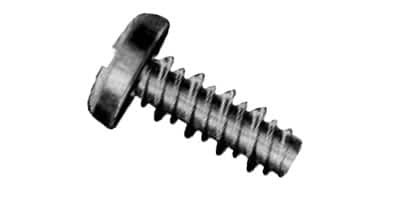 Hi-Lo® Plus™ Fasteners With this style of screw, both the high and low threads incorporate the 30 degree included angle and have a 45 degree step angle on the trailing flank. 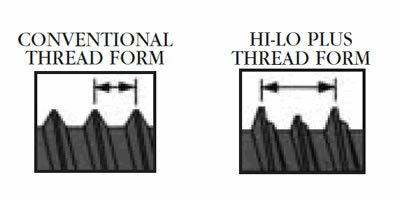 These sharp threads further minimize material displacement to reduce stress and cracking while increasing drive/strip ratios. Fastener Comparisons Drive/Strip torque comparisons.